Happy Independence Day to all my American friends and family!!! Happy Monday to all my fellow Filipinos! It's makeup time in Shen's Addiction! Don't you ever wonder why those girls in Japanese and Korean magazines always look so fabulous? Their makeup always looks so flawless and they have a certain way of making their Asian eyes pop. One of the reason is because of their white eye liner. It accentuate their eyes and made it look more open and wide awake. Which is quite something that most of us ladies do not know. Well, now we do. It took me quite a while to get this kind of technique. 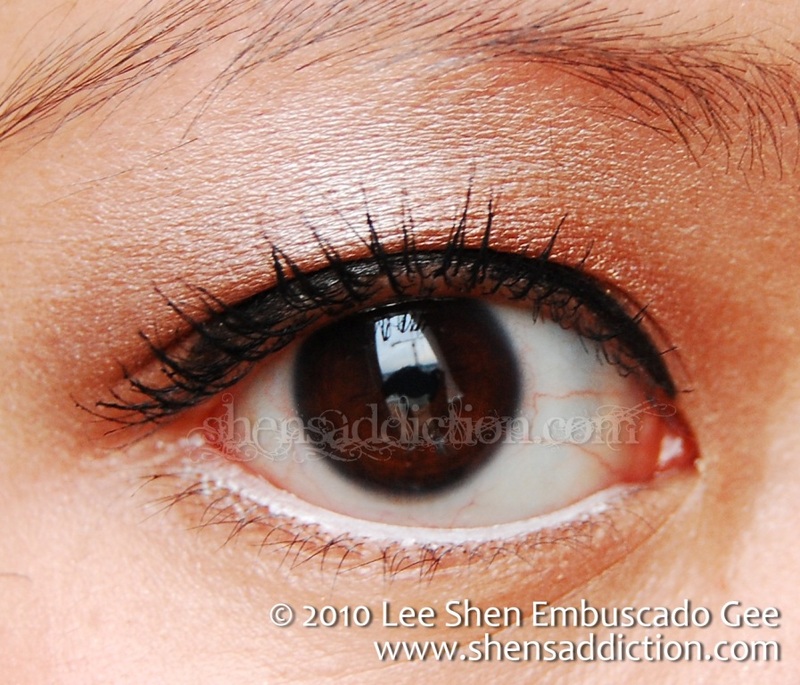 I was first looking for a flesh-tone eye liner but its so difficult to look for one here in the Philippines. Great thing that I was able to get my hands on MAC Fascinating Eye Khol when it was brought here. It's so pigmented that I don't hurt my waterline whenever I apply it. I was able to get my hand on this without having to wait too long for it. It livens up my eyes especially when I feel I don't get enough sleep. Makes my eye makeup look more complete. This pencil would last me months with everyday use. Its matte! It's hard to look for matte white eyeliner. MAC Fascinating Eye Khol when applied in lashline. Although I have other white liners, I am particular to the MAC Fascinating Eye Khol because it stays the longest on my lower lashline, its very pigmented and ultra matte. There's also something about white eye liner that makes my eyes look fresh and well, fascinating. Hehehe! And if you like something, you tend to stick to it. Have you tried white eye liner? Care to share your favorite here? Khymm, takes for reminding me to review this product! I always use white eyeliner on my waterline. It really makes my eyes look more awake. I use the Revlon Matte Khol in Pure White. Staying power is not that great though. nice review Shen! =) thanks!